Once a sheep farm, the property is geologically unique. The Polly Hill Arboretum has been named to the National Register of Historic Places, the arboretum has announced. 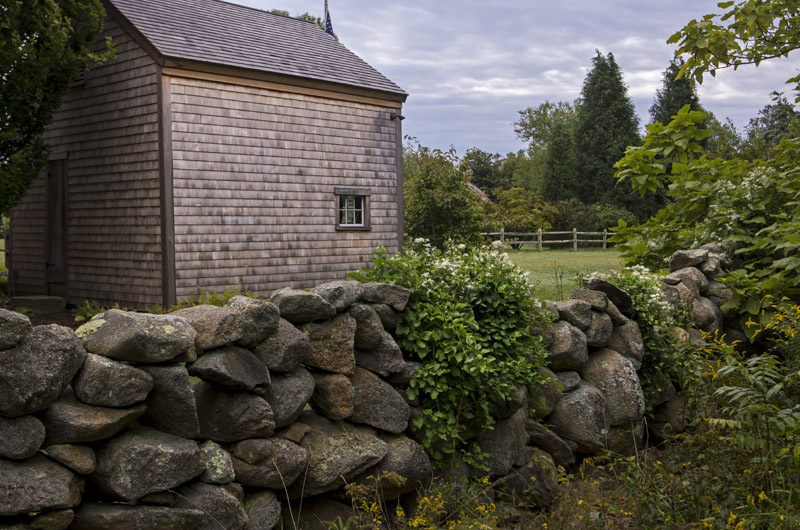 Situated on the site of the old Barnard’s Inn Farm in North Tisbury, the arboretum has been internationally recognized for its collection of rare trees and shrubs grown from seed by the late Polly Hill, a pioneering horticulturist and longtime Vineyard resident. Perhaps less well known, the property is a rare surviving example of an agricultural landscape that is geologically unique, and includes a collection of historic houses and barns dating to the 18th and 19th centuries. 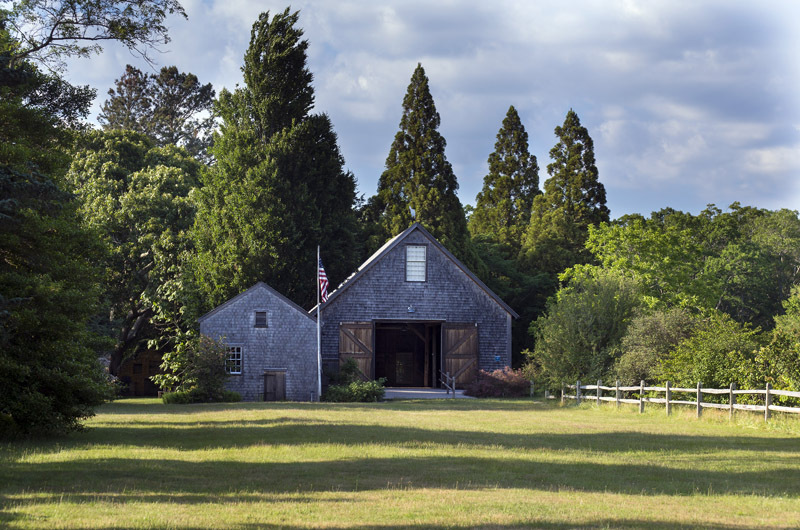 The culmination of a complex, years-long process that involved the West Tisbury local historical commission, among others, the designation took place five months ago but was not announced by the arboretum until this week. “This listing honors Polly Hill’s original vision for her property,” the arboretum said in a news release. Karin Stanley, education, membership and outreach coordinator for the arboretum who also sits on the local historical commission (distinct from the historic district commission), said the first seeds were planted for the designation in 2009. At the time the arboretum was planning to do some restoration work on the Far Barn, parts of which date to 1750. The following year the property won state designation as a historic area, which led to a more detailed application for listing in the National Historic Register, a federal designation that comes under the umbrella of the National Parks Service. The Polly Hill Arboretum Historic District was approved in June of this year. The designation marks one more laurel for the arboretum which has earned much recognition through the years. Though largely honorific, listing on the National Register may enable a property to take advantage of federal programs such as grants and tax credits. “[The arboretum] retains integrity, and its present appearance clearly conveys the property’s evolution across 300 years of Island history, from colonial farm to summer retreat to arboretum,” the National Register designation said in part. The arboretum encompasses 72 acres of rollingland that was once a sheep farm. Historically important buildings include the circa 1750 Barnard Luce House, also called the homestead, which houses the arboretum office; the Cow Barn, parts of which date to 1860 and was Polly Hill’s residence; the Littlefield house, formally named the Samuel Washington Adams House, dating to 1844; and the Far Barn and adjacent slaughterhouse that date to sheep farming days on the property. The farmscape is geologically distinct, featuring both the outwash plains that are characteristic of down-Island and the hilly, rocky geology that defines up-Island. The differing landscapes were formed thousands of years ago by a receding glacier that ended its migration in the middle of the Island. Polly Hill and her husband Julian Hill took ownership of the farm in 1957; soon after Polly began to develop 20 acres of fields into a garden specializing in trees and shrubs. For the next 40-odd years the farm became her laboratory where she grew everything from seed and shattered the notion of zonal gardening by raising hardy specimens such as magnolias well out of their zones. In the late 1990s Polly formed a partnership with Dr. David Smith, a renowned scientist in his own right and summer resident of West Tisbury who became fascinated with her work. Dr. Smith’s foundation was successful in placing a conservation restriction on the land that included the involvement of state environmental officials, and later the Polly Hill Arboretum was formally named. Dr. Smith died in 1999; Polly Hill died in 2007. Today the arboretum houses more than 3,000 botanical specimens and operates as an educational nonprofit; the property is open to the public from sunup to sundown. The North Tisbury property is surrounded by conservation land, including the extensive Woods property and also the Martha’s Vineyard Agricultural Society. Good for you, Polly Hill! It takes a lot of work to get National Register recognition, and I commend you for the effort. Polly herself would be proud. Karin Stanley's vision and research skills were vitally important to this success. I hope she will write a long article about what she learned (and how) that we can all read. I am so proud to be a volunteer at and member of Polly Hill Arboretum. Thanks to all for your incredible efforts to get the National Register designation! I can't wait to be able to tell people about it at the Visitor's Center next summer! Congratulations! Proud to be a member.